First, they came for our Pokémon...now it's an emoji takeover. 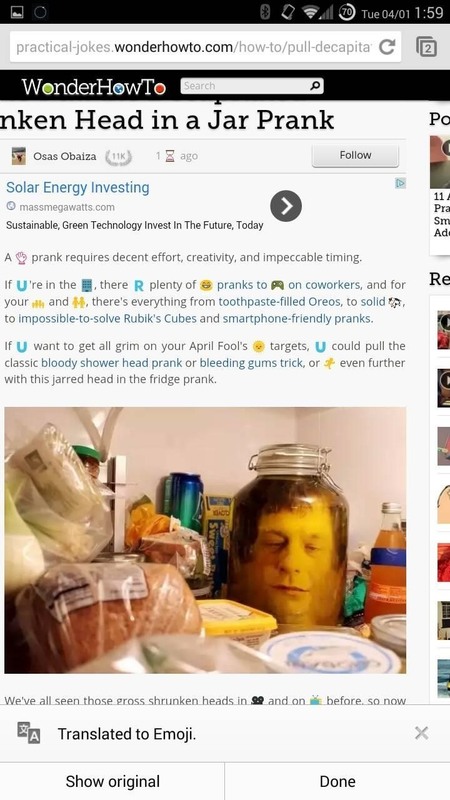 Adding to the flurry of Google related April Fool's Day jokes, Chrome for Android and iOS has a new hidden functionality: translating the web to emoji! If you haven't already, grab the Chrome Browser for Android or iOS (also works with Chrome Beta) for free from the iOS App Store or Google Play and follow along to enable this "feature". Of course, today isn't April 1st, so to check out this little nugget from Google, we'll need to change the date of our devices one day ahead (or, you could wait until tomorrow). For Android, head to the "Date & time" settings section, turn off "Automatic date & time", then set the date for April 1st. For iOS, head to Settings, General, Date & time, turn off "Set Automatically", and set the date to April 1st. 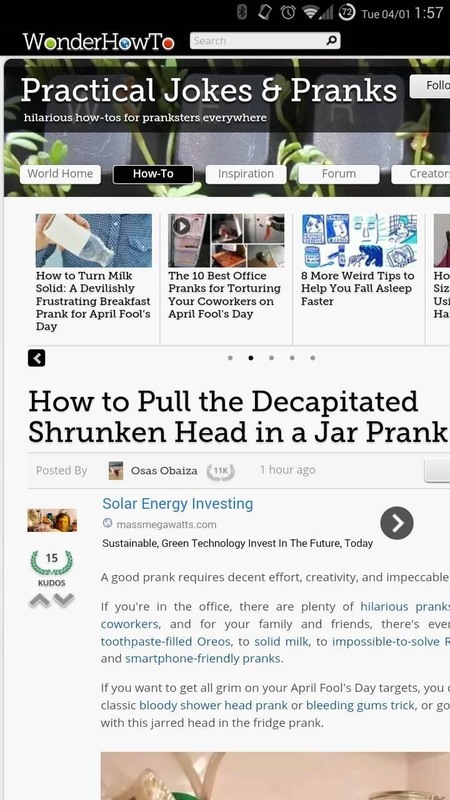 Now, open up Chrome and load a site, then tap the menu button and select "Translate to Emoji". 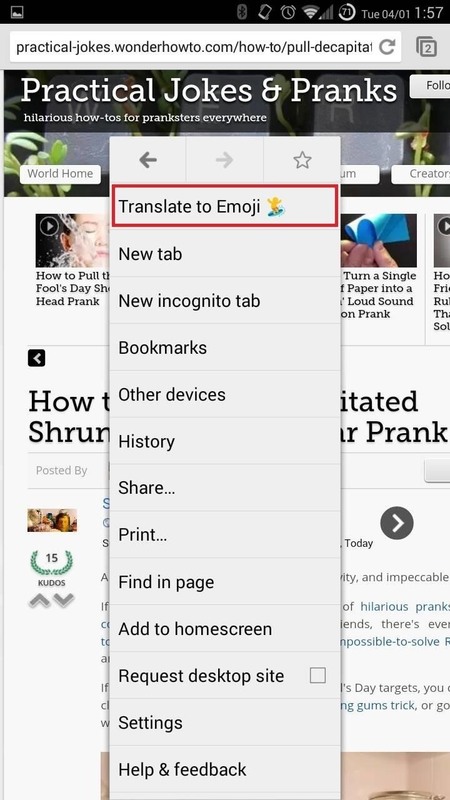 Step 3: Enjoy Your New "Translations"
Finally, sit back and watch as Google "translates" your page to emoji-speak. 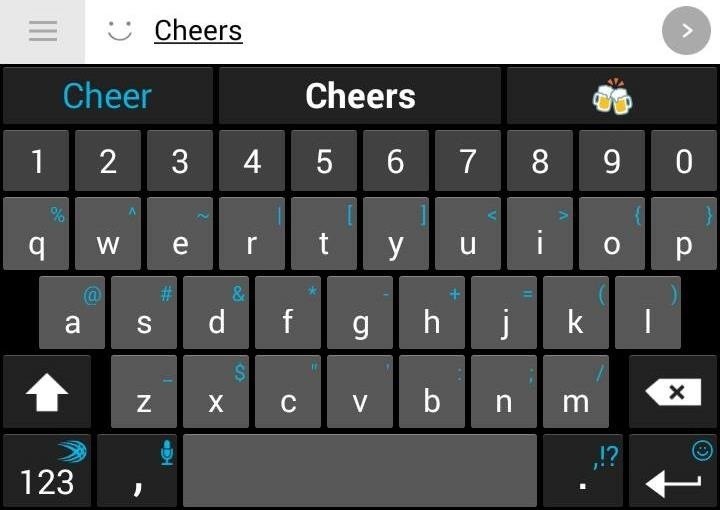 This is actually a pretty fun little easter egg, and is spin on one of the more enjoyable features is the latest SwiftKey Beta, which is in-line emoji substitution. 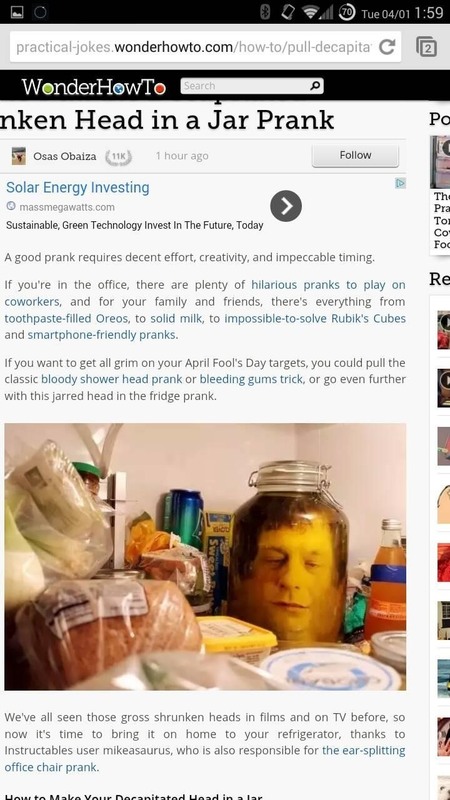 While you're at it, make sure to check out the rest of our April Fool's Day gags and tricks, and let us know yours in the comments below.